You may have seen flyers at your local yoga studio, or on social media, promoting a yoga retreat in paradise. For a moment, you may have wondered what it was like. Maybe you envisioned yourself unrolling your mat in an unfamiliar place with people you’ve never met. If that thought crossed your mind, you either found it completely frightening, or totally fascinating. That thought totally fascinated me. The year was 2013, and for the first time ever I embarked on my first yoga retreat and flew halfway across the world with people I had never met. I arrived with butterflies in my stomach, and returned home more motivated, connected, and overjoyed than I had been in a long time. The retreat had far surpassed my dreams and expectations. The yoga, inspiring. The food, amazing. And the experience, unforgettable. Costs vary by retreat depending on the location, accommodations, travel season and a number of other factors. Usually the retreat host will announce the dates early so there is plenty of time to save. Plan to pay a deposit to secure your spot (typically non-refundable). Ask your retreat host if payment plans are available—they usually are and it takes a load off the pocket book. Some yoga retreats may cater to certain groups, however most will accommodate all levels of practice. It helps to get to know the teacher’s style and student base ahead of time. Non-yogi travel companions can typically join the group for a less expensive cost if they don’t plan to practice. There is plenty of time for fun between yoga classes throughout the retreat. You will meet amazing people. 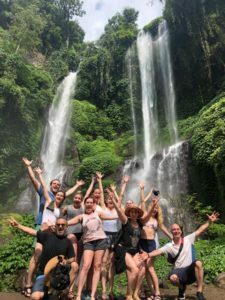 Whether you know people already going on the trip or not, it’s a guarantee that you will make new connections, and form lasting friendships. Many retreats offer a double occupancy rate to keep costs low. If you are traveling alone, you might be paired with a compatible roommate, who will likely become your new bestie. Your yoga practice will accelerate. Maybe you’re new to yoga. Maybe you’ve been practicing for a while and you’ve hit a plateau. Maybe you took some time off yoga and a retreat is the perfect way to get you back on track. Whatever your situation, you will deepen your yoga through a daily practice, and closer connection with the teacher. Most retreats offer some version of healthy, organic, farm-to-table meals, vegetarian, vegan or local fare that will help you feel better and establish better eating patterns. So when you return home, you’ll be motivated to maintain better eating habits. Most destinations can accommodate special dietary needs. You will return home with memories that will last a lifetime. Besides a daily yoga practice (one or two classes daily), there will be plenty of time to enjoy the surroundings. Retreat hosts may arrange a group trip to do an activity or sight-seeing, or you can explore on your own. If relaxing is your thing, book a massage, or read a book by the pool or beach. For the more active traveler, taking a hike, going for a bike ride, or shopping the local market may be just what you need. Taking selfies with your new friends doing yoga in cool places and sharing on social media is always a highlight. 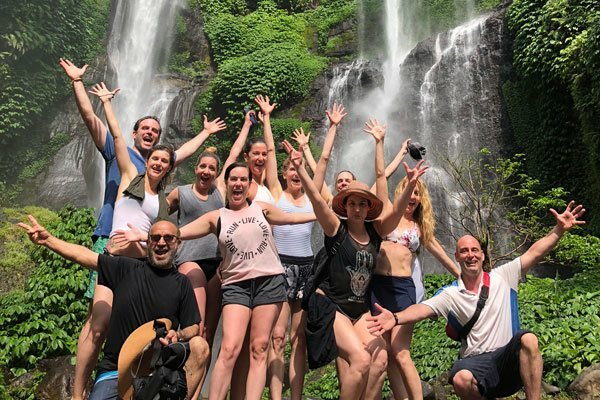 Flashback: My favorite memory attending a yoga retreat is that time I planned to meet three people in Ho Chi Mihn City, Vietnam a few days before the retreat began. We only knew each other through Facebook for a few months prior. We shared the expense of a hotel room and the cost of a tour guide for a full day walking tour of the city. The impact of the cultural experiences combined with friendship and laughter we shared that day were tremendous. Today we are still friends. Do you want to grow your practice? Do you love new adventures and experiences? Are you making a life change? Are you on the verge of something big? If you answered YES to one or more of those questions, then skip the standard all-inclusive beach vacation this coming year and go for something that will change your life. Yoga retreats are a wonderful way to meet and travel with like-minded people and unplug from your daily grind. Taking the opportunity to turn inward to focus on nourishing you is the best gift you can give yourself. Take the plunge. Today Jessica East leads annual yoga retreats in beautiful destinations across the world. She will lead her next retreat in South Africa in August 2019. Uptown Yoga studio owner Jen Chitwood leads incredible yoga retreats at her dreamy villa in Bali, which she lives at part time throughout the year. It’s like living with a local for a week.